I saw this ingenious drink listed on Notcot the other day and wanted to share. It's a company based in the Northeast but their creation is steeped in Southern traditions. 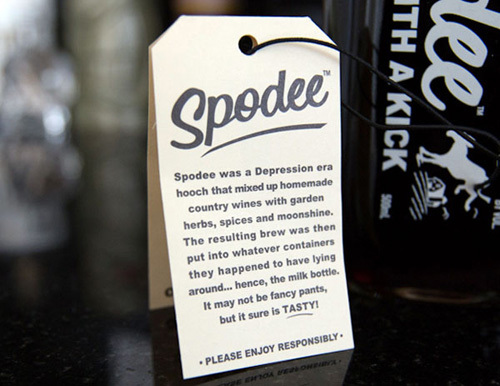 Spodee Wine is an alcoholic beverage, inspired from the Depression era that mixes homemade country wines with garden herbs, spices and moonshine. This drink appears to be very versatile. 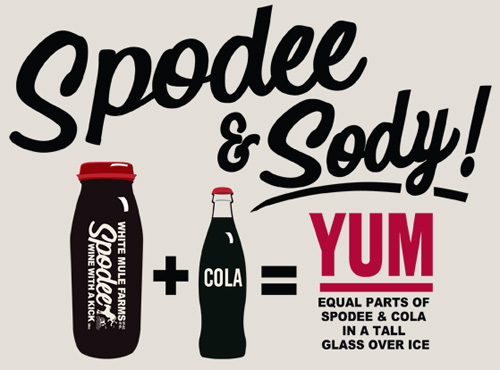 Click here to see their myriad of ideas for recipes, their most popular being a Spodee and Sody. You should never skimp on packaging and the Spodee Wine bottles do not disappoint. 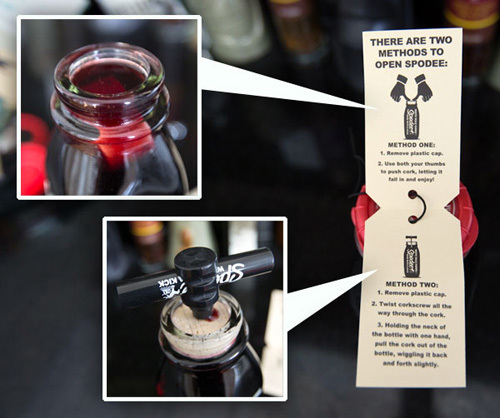 I love the cork, with two methods to open. This beverage is fairly new to the market and currently only sold in Pennsylvania and New Jersey but can be ordered directly nationwide.